WELCOME to Kansas Association of Certified Development Companies (KACDC): Specialized Business Financing Assistance. We are here to assist you with your entrepreneurial or small business loan needs by answering your questions about how to start a business in Kansas. We are also here to assist you in accessing the financing you need to fulfill your goals. So whether you need help with small business loans, starting your own business, business finance, or other funding, the KACDC can help. A great deal of information about who we are and what we do is contained on this site, but if you want to talk to someone specifically, please contact the Certified Development Company nearest you. For more information about your local certified development company, click on the county where you live or where the project is located. 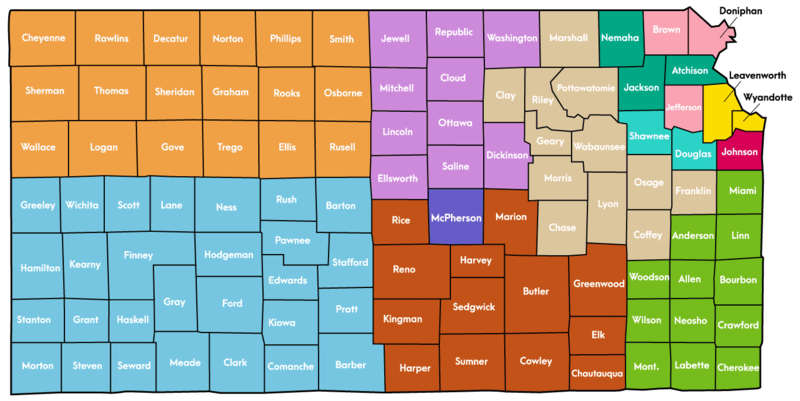 South Central Kansas Economic Dev. District, Inc.
Do you need a loan to start, buy, or expand a business in Kansas? Contact us to find out what local, regional, state, and federal business loan options are available. Or find the location serving your business. See some of our success stories including the funding sources. Learn more about us and how we can help. The Kansas Association of Certified Development Companies (KACDC) provides specialized business financing assistance in every county in Kansas. We are here to assist you in obtaining financing for your business including funding options, providing loan packaging assistance, and going with you to the bank of your choice. Learn more about us and how we can help your business and how you can obtain a business loan.